Draft: 1999, Atlanta Braves, 14th rd. 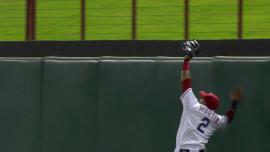 Garrett Jones flies out to center fielder Leonys Martin. 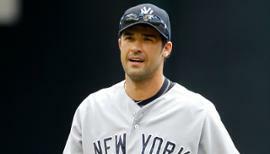 August 20, 2015 New York Yankees released RF Garrett Jones. 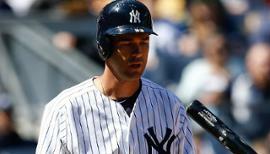 August 12, 2015 New York Yankees designated RF Garrett Jones for assignment. August 5, 2015 New York Yankees activated RF Garrett Jones. July 31, 2015 New York Yankees designated RF Garrett Jones for assignment. December 10, 2013 Miami Marlins signed free agent 1B Garrett Jones. 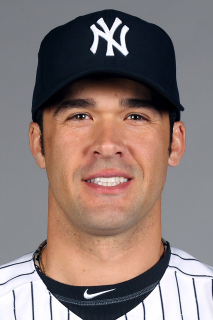 December 2, 2013 1B Garrett Jones elected free agency. 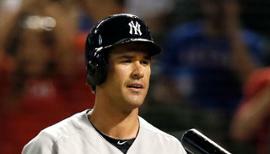 November 25, 2013 Pittsburgh Pirates designated 1B Garrett Jones for assignment. June 30, 2009 Pittsburgh Pirates selected the contract of 1B Garrett Jones from Indianapolis Indians.